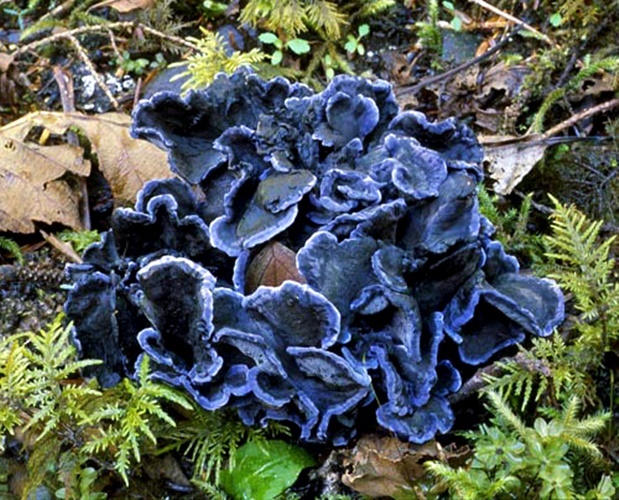 individuals are funnel-shaped, up to 2-5 cm broad, flat, smooth, dark purple to blue/black with incurved edges. underside is pale violet with small ridges running down almost to the base. grows in large, dense clusters under conifers.